Woolfson Eye Institute announced that R. Doyle Stulting, M.D., Ph.D will deliver the Binkhorst Lecture at the American Society of Cataract and Refractive Surgery on May 7, 2016 in New Orleans. Dr. Stulting, the Medical Director of Woolfson Eye Institute’s Ambulatory Surgery Center, is a specialist in corneal disease and transplant, laser vision surgery, cataract surgery and keratoconus. Dr. Stulting has had a very productive year in the realm of awards and recognition. 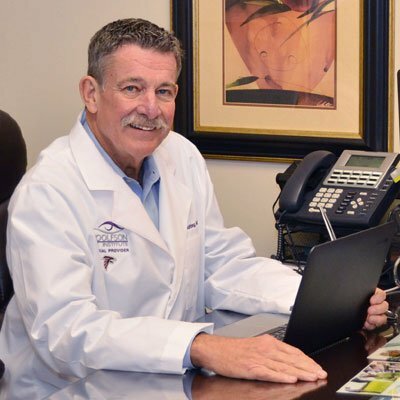 He was named in the July issue of Atlanta Magazine as a 2015 Top Doctor in the field of ophthalmology. He was also honored as the Barraquer Lecturer at the Academy of Ophthalmology meeting in Chicago in July, 2014. A Past President of the American Association of Cataract and Refractive Surgery, Dr. Stulting is the founder of the Stulting Research Center, and a pioneer in corneal disease research and LASIK. He has served as a medical monitor for multiple FDA clinical trials, and was a co-investigator in the first physician-sponsored clinical investigation of LASIK. A past Editor-in-Chief for the medical journal Cornea, Dr. Stulting has authored hundreds of published medical articles during his 30+-year career. Founded by Dr. Jonathan Woolfson, Atlanta’s Woolfson Eye Institute is widely regarded as the Southeast’s leader in LASIK surgery—with over 100,000 procedures performed since 2002. Woolfson’s staff of surgeons and physicians also includes specialists in Cataract Surgery, Corneal Surgery, Glaucoma Treatment and Cosmetic & Reconstructive Plastic Surgery of the eyelids and upper face.